(a) Whenever the Internal Revenue Code of 1986 provides that a separate taxable estate or entity is created in a case concerning a debtor under this title, and the income, gain, loss, deductions, and credits of such estate shall be taxed to or claimed by the estate, a separate taxable estate is also created for purposes of any State and local law imposing a tax on or measured by income and such income, gain, loss, deductions, and credits shall be taxed to or claimed by the estate and may not be taxed to or claimed by the debtor. The preceding sentence shall not apply if the case is dismissed. The trustee shall make tax returns of income required under any such State or local law. (b) Whenever the Internal Revenue Code of 1986 provides that no separate taxable estate shall be created in a case concerning a debtor under this title, and the income, gain, loss, deductions, and credits of an estate shall be taxed to or claimed by the debtor, such income, gain, loss, deductions, and credits shall be taxed to or claimed by the debtor under a State or local law imposing a tax on or measured by income and may not be taxed to or claimed by the estate. The trustee shall make such tax returns of income of corporations and of partnerships as are required under any State or local law, but with respect to partnerships, shall make such returns only to the extent such returns are also required to be made under such Code. The estate shall be liable for any tax imposed on such corporation or partnership, but not for any tax imposed on partners or members. (c) With respect to a partnership or any entity treated as a partnership under a State or local law imposing a tax on or measured by income that is a debtor in a case under this title, any gain or loss resulting from a distribution of property from such partnership, or any distributive share of any income, gain, loss, deduction, or credit of a partner or member that is distributed, or considered distributed, from such partnership, after the commencement of the case, is gain, loss, income, deduction, or credit, as the case may be, of the partner or member, and if such partner or member is a debtor in a case under this title, shall be subject to tax in accordance with subsection (a) or (b). (d) For purposes of any State or local law imposing a tax on or measured by income, the taxable period of a debtor in a case under this title shall terminate only if and to the extent that the taxable period of such debtor terminates under the Internal Revenue Code of 1986. (e) The estate in any case described in subsection (a) shall use the same accounting method as the debtor used immediately before the commencement of the case, if such method of accounting complies with applicable nonbankruptcy tax law. (f) For purposes of any State or local law imposing a tax on or measured by income, a transfer of property from the debtor to the estate or from the estate to the debtor shall not be treated as a disposition for purposes of any provision assigning tax consequences to a disposition, except to the extent that such transfer is treated as a disposition under the Internal Revenue Code of 1986. (g) Whenever a tax is imposed pursuant to a State or local law imposing a tax on or measured by income pursuant to subsection (a) or (b), such tax shall be imposed at rates generally applicable to the same types of entities under such State or local law. (h) The trustee shall withhold from any payment of claims for wages, salaries, commissions, dividends, interest, or other payments, or collect, any amount required to be withheld or collected under applicable State or local tax law, and shall pay such withheld or collected amount to the appropriate governmental unit at the time and in the manner required by such tax law, and with the same priority as the claim from which such amount was withheld or collected was paid. (1) To the extent that any State or local law imposing a tax on or measured by income provides for the carryover of any tax attribute from one taxable period to a subsequent taxable period, the estate shall succeed to such tax attribute in any case in which such estate is subject to tax under subsection (a). (2) After such a case is closed or dismissed, the debtor shall succeed to any tax attribute to which the estate succeeded under paragraph (1) to the extent consistent with the Internal Revenue Code of 1986. (B) the same or a similar tax attribute may be carried back by the estate to such a taxable period of the debtor under the Internal Revenue Code of 1986. (1) For purposes of any State or local law imposing a tax on or measured by income, income is not realized by the estate, the debtor, or a successor to the debtor by reason of discharge of indebtedness in a case under this title, except to the extent, if any, that such income is subject to tax under the Internal Revenue Code of 1986. (2) Whenever the Internal Revenue Code of 1986 provides that the amount excluded from gross income in respect of the discharge of indebtedness in a case under this title shall be applied to reduce the tax attributes of the debtor or the estate, a similar reduction shall be made under any State or local law imposing a tax on or measured by income to the extent such State or local law recognizes such attributes. Such State or local law may also provide for the reduction of other attributes to the extent that the full amount of income from the discharge of indebtedness has not been applied. (1) Except as provided in this section and section 505, the time and manner of filing tax returns and the items of income, gain, loss, deduction, and credit of any taxpayer shall be determined under applicable nonbankruptcy law. 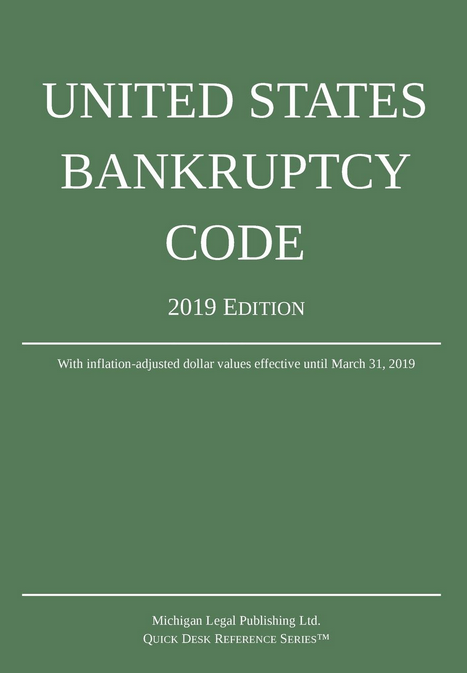 (2) For Federal tax purposes, the provisions of this section are subject to the Internal Revenue Code of 1986 and other applicable Federal nonbankruptcy law.